Never before has it been easier to upgrade your 1940-1966 classic truck’s door latches. Trique Manufacturing is the home of the Altman Easy Latch. Trique Manufacturing offers the perfect solutions to your car and truck troubles. Our inventory includes online car parts such as car interior parts and car door latches that are sure to improve the functionality and look of your vehicle. 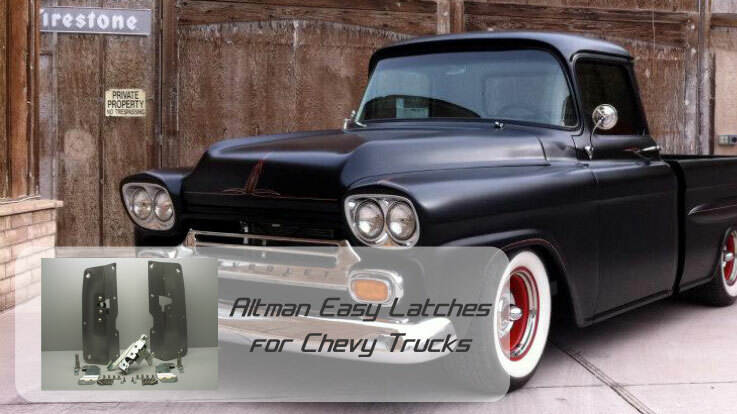 A main point of our available online car parts would have to be our Altman easy latches. These particular car door latches will get the job done quickly and efficiently without any welding necessary. If you are looking in the direction of purchasing car interior parts, we supply interior lights, door handles and window cranks, and much more. We believe there is something for every classic car or truck here at Trique Manufacturing. If you have any questions or concerns regarding our products, we’d be happy to help!